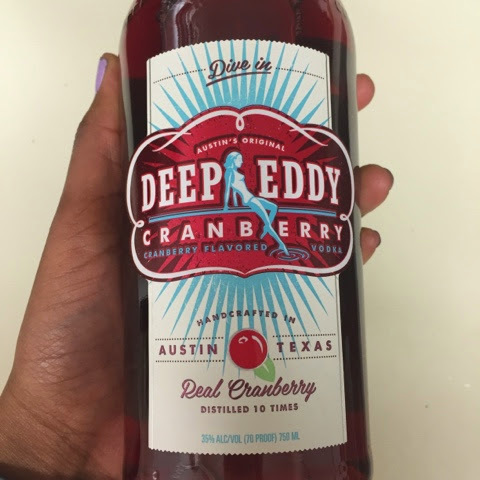 New Addition to My Bar Cart// Deep Eddy Cranberry Vodka. After reading about it on Mackenzie Horan's blog and sampling this vodka in Providence with my mom, I finally bought a bottle just for me! It's really good mixed with apple or grape juice but the bottle suggests soda water and lime! Check it out! Currently Obsessing// Yoga Instagrams. I am obsessed with Yoga again. I love seeing how I can bend and move if I keep with it. Sam Emrich of Catching Dragonfly is one of my favorites! Food Craving of the Week// We don't have a Sweetgreen here but I would die if I have a Guacamole Greens salad with shrimp instead of chicken sometime soon. Here is a knock off I might be making! Favorite Thought Catalog Article(s) // Body Ideals through the Years - so interesting!